This barn was originally built circa 1840 and is known to have been a station on the underground railroad. 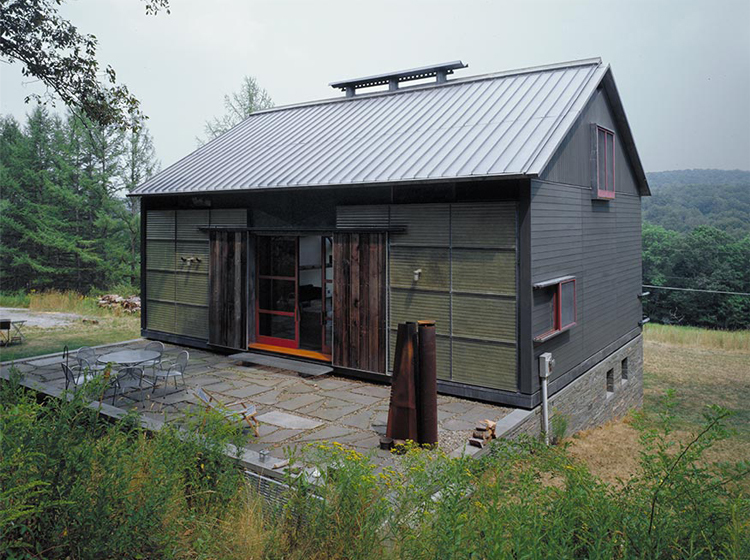 The barn was adapted for re-use, on its original site, to a contemporary residential aesthetic. 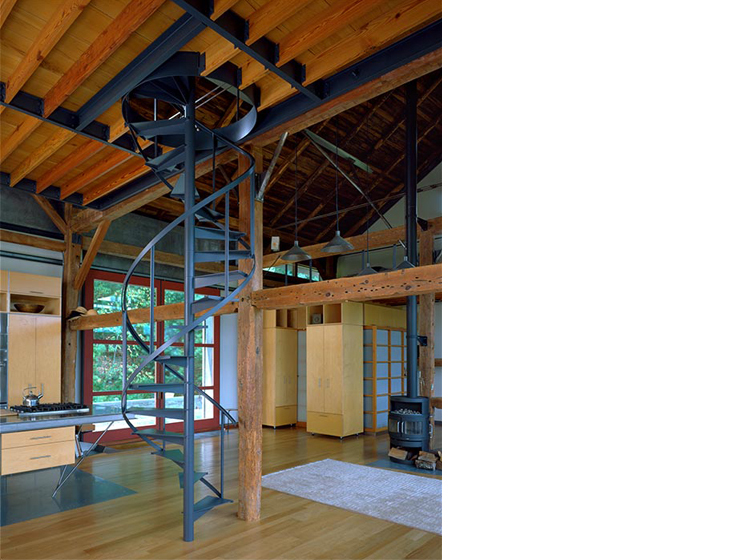 The goal was to save, restore and reuse everything possible — and preserve the inherent qualities of light and space that the old barn encompassed. 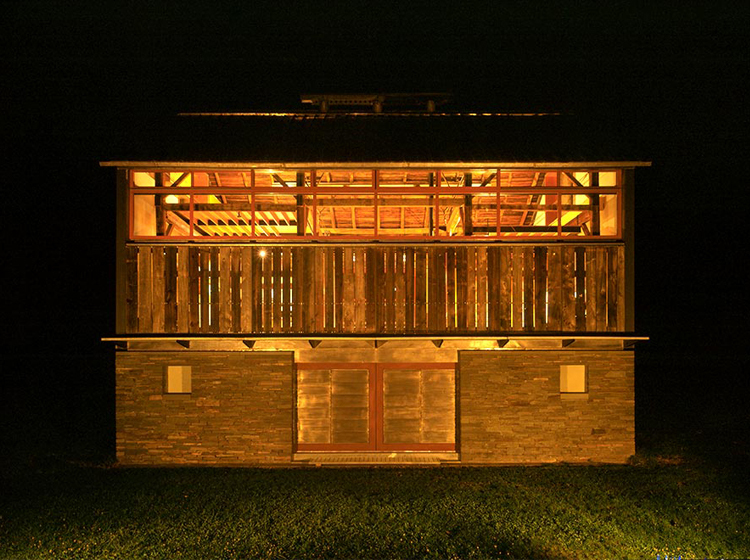 The original primary components, post and beam structure, wood cladding and foundation stones were preserved and re-used in the new design. The house features an expanse of operable windows and shutters comprising the facade, with overlooking views to the Delaware River below. The original barn doors were salvaged and transformed into rolling shutters that control sunlight and create privacy, as well as recreating the sensation of light filtering in through old barn wood siding. Inside, the space is open except for a freestanding assembly of translucent fiberglass and wood closets that enclose the bathroom. Other construction characteristics include the use of locally quarried bluestone, and window and door components constructed from recycled timbers. 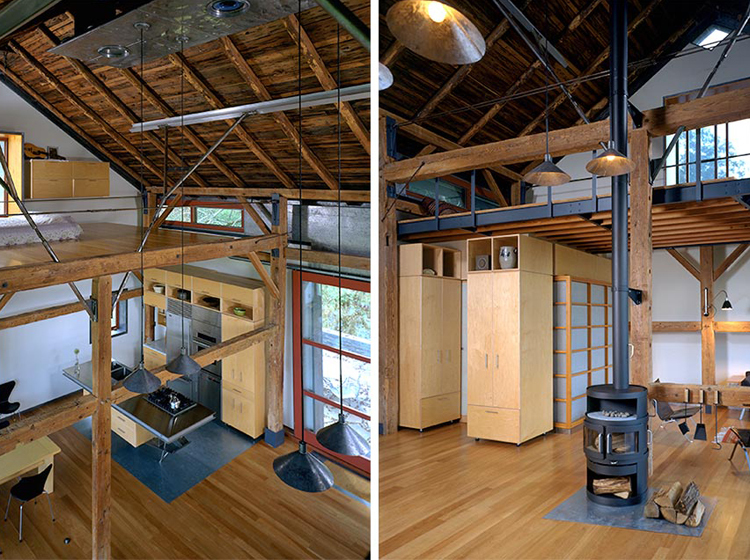 Sleeping lofts are hung from the original post and beam structure. 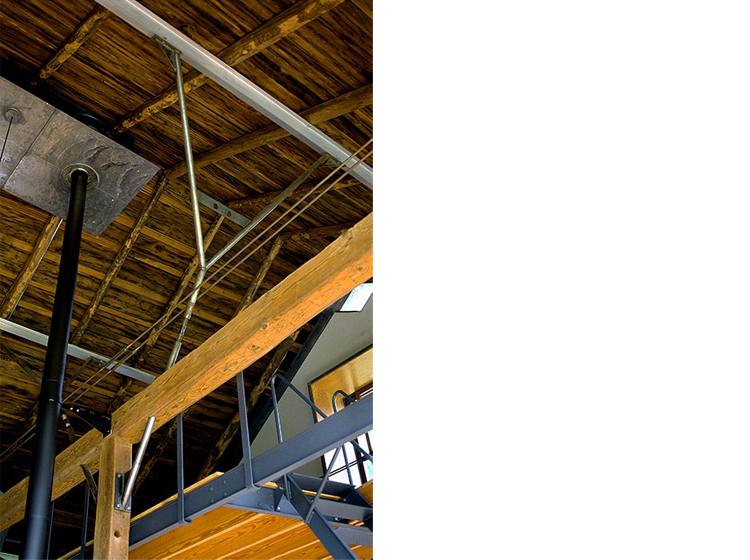 The barn has been retrofitted with a high-efficiency pellet boiler and solar thermal panels to fuel the in-floor heating and domestic hot water system and eliminate the oil tank.